Another year has gone by (nearly at least) bringing a number of changes to Google’s search engine algorithm, most of which were aimed at reinforcing what they have been preaching for years. There were new Penguin and Panda updates, again penalizing websites that have poor quality content and spammy backlinks. There was also the Hummingbird update, which is supposed to make Google better at understanding long conversational search queries. So what does this all mean for your internet marketing efforts. Is it time for a complete revamp of how you’ve been approaching SEO and internet marketing, or should you just continue and perhaps expand your current marketing strategy? Let’s have a look at what we believe is the way forward for internet marketing in 2014. Google has been rewarding companies with qualitative content marketing strategies for the last few years, and it looks like they aren’t straying away from this. Content marketing won’t only improve your SEO, it’ll also help you create more visibility on social media through sharing of your content. If you’ve been heavily investing in a good content marketing strategy, regularly producing quality content that provides value to your audience, then you are on the right track. Keep up your efforts and make sure that you optimize your content for mobile, especially if your analytics show an increasing amount of mobile visits. It’s a good time to start thinking about innovative ways to leverage mobile traffic better. If you’ve only recently been dabbling with content marketing, now is the time to ramp things up. Social media has been changing the internet marketing industry in the last few years. More and more companies are starting to realize the importance of being active on social media. Not only can this generate traffic to your site, but also improve your SEO through social signals that Google incorporates into its algorithm. If you don’t have a solid social media marketing strategy in place yet, it’s the time to create one. Make sure that you research which social networks matter in your industry/niche so you can focus on the ones that will be most valuable for your business. There’s still a lot of disagreement in the internet marketing world on this one. While we are certain that Google has been rewarding sites that produce long, in-depth content, this doesn’t mean that long content is always appropriate. In some cases a reader is not looking for lengthy content, but just a short, to the point article on whatever they are searching for. Also, people who are on mobile devices don’t usually want to scroll through a very lengthy article. This obviously poses some problems and it’s not very clear what the way to go is yet. For most content Google definitely seems to value 500+ and even 1000+ word articles a lot more these days. Guest blogging also seems to be here to stay, offering great SEO value, and a way to connect with a new audience. Make sure to produce great content for your guest blogs though, and be very critical when selecting possible blogs to guest post on. So is your business ready for internet marketing in 2014 yet or do you still have some way to go? Let us know in the comments! Zane Schwarzlose writes for Alamo Injury Attorneys, a personal injury law firm in Austin, Texas. Zane thinks that Internet marketing for law firms is really interesting. If you’re new to building just about anything, whether it’s a birdhouse for your backyard or a brand new bookshelf for your office room, you need to invest in the right tools that will ensure you’ll get the job done right and within the shortest period of time possible. Having the right tools on hand will also help you construct your project with the smallest amount of waste possible, so investing in expensive tools that are built to last will certainly be worthwhile, and you can rest assured that the tools will pay themselves back as well. Continue reading if you’re a novice builder but you want to make mini construction projects your new hobby. The following four tools are absolute essentials that you’ll need before you get started on your next project. 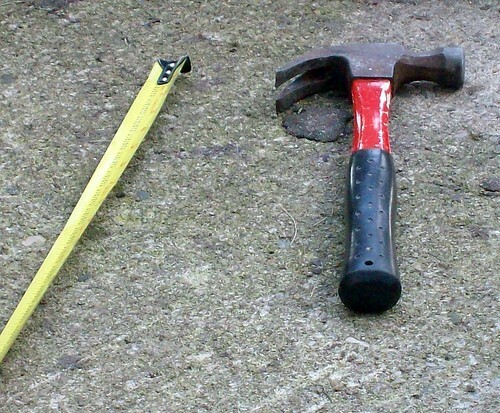 In addition to the very basic hammer and nails, you should most certainly invest in a power drill. This tool will allow you to drill holes into any type of material that you’re constructing with, whether it’s wood, brick, or metal. These tools are powerful, reliable, and durable. Purchase one that has a rechargeable battery if you don’t want to plug it in and deal with an extension cord every time, but expect that the battery may not hold a charge for very long, especially as the tool begins to age. 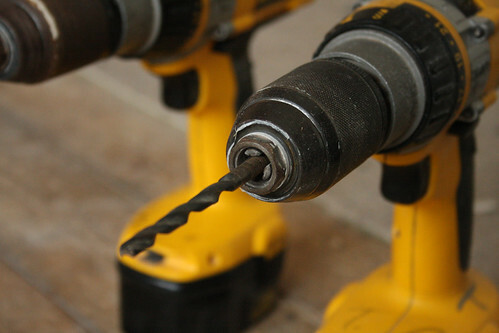 Use your power drill when you want to insert screws quickly into various building materials as well. This will save you loads of time that would otherwise be spent nailing them in with a hammer. A level is essential for making sure that all of your building materials are lined up just right before you start putting everything together. Without the proper alignment, your project will not be strong enough to support itself or anything that you put on it. 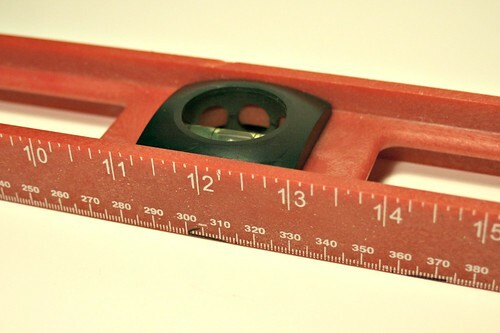 A tape measure is the tool that will ensure you’ll always cut just the right amount of material off of a piece of wood, sheet metal, or any other building material so that you can eliminate waste and make sure that you get the job done right. A saw is such a simple tool, yet a lot of people don’t bother purchasing one when they first become homeowners and begin putting together a toolbox for home repairs that consists of everything from screwdrivers to bolts and fasteners. For building, though, a saw is a very important asset to have on hand at all times. There are a variety of saws to choose from to match your various building needs, such as coping saws, miter saws, keyhold saws, hacksaws, and crosscut saws, but a handsaw will do just fine for basic projects. For larger projects, you may want to invest in a table saw or a circular saw. When it comes to constructing your own projects at home, you’ll need a basic toolkit to get you through it. But in addition to your basic set of tools, you need to also invest in specific ones that will help you build the best project possible. Jake Summers, the author of this post, works in Specialized Threaded Fasteners, a leading fastener manufacturer company in Bribra Lake, Western Australia. His hobbies include trekking and rock climbing. that shot. No matter how seemingly dull a picture looks at first, it can always be altered to have the effect that you want. A really great effect to add to artistic black and white photographs is a splash of color. Whether it is a black and white birthday photo where just one colorful balloon is highlighted, or a grayscale beach photo where one boat in the distance is the only colorful object, these kinds of effects can add a splash of color to any basic image and draw the attention towards the desired part of the picture. Wedding photos can look particularly classy when taken in black and white, and as most wedding pictures are very colorful, throwing in a few black and white shots can add a professional touch to your overall portfolio. A wedding photo of the happy couple with a splash of color can make a great souvenir shot of the day, and may even be the one that gets displayed at home for its creativity. A photo of the couple with the bride’s bouquet’s colors highlighted can be a great effect to add to such a special picture. It can be disappointing when you go on vacation and all of your images look a little amateurish. By using a number of tools in photo editing software, you can enhance the colors and adjust shadows, saturation and lighting to make any picture worthy of a professional photo album. An app for Mac such as ColorStrokes for example enables the user to add more “drama” to an image by drawing focus to a certain part of the picture using color; visit MacPhun to find out more about the effects that you can add to your vacation pictures and other snaps. Pick colorful landscapes such as poppy fields or beaches so that you can make the most of the natural colors that are out there. One of the most popular and also most basic ways of adding emphasis to one part of a picture or totally enhancing the whole image is to boost its colors. Anything can be colorful – even a barren desert landscape can be enhanced by adding a dramatic sky or making the sand a color you wouldn’t expect. When highlighting images with simple color splashes, make sure that you keep the colors bold and bright. A black and white image with a stunning sunset on the horizon for example doesn’t have to look realistic – it needs to capture the audience’s attention and imagination. Additional features in editing software will also allow you to blur certain parts of the image so the focus is on the colored object. Mark is a Graphic designer with a degree in computer science. He is working for a graphic design company specializing in providing graphic design for mobile devices. In his free time he contributes reviews of latest image editing software such as photoshop and GIMP. The way that we act and feel during the day is largely down to how well we managed to sleep the previous night. And the opposite is sometimes the truth as well. If you have a stressful day with lots of broken routines, it can be awfully hard to get down for a full7 or 8 hours of sleeping. We need to analyse our daily activities and habits if we are to achieve some productive down time. As well as speaking to your doctor and changing parts of your lifestyle, there are also some cool gadgets that have had some success in the pro-sleep arena. This article looks at a few of the more popular ones and gives an honest opinion. We begin the show with an ultra-cool version of the good old fashioned beside lamp. 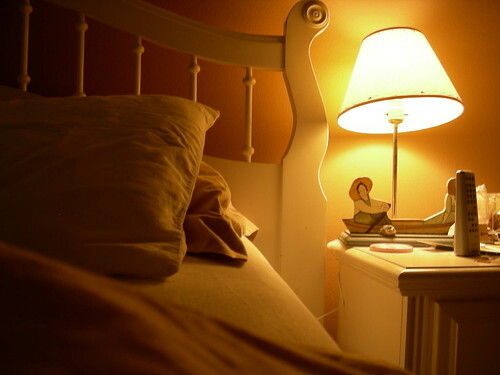 The Nighmo Nightlight uses motion detection to sense whether or not you are asleep. There can be nothing worse than waking up in the middle of the night and tripping over an object just because you couldn’t turn the pesky lamp on. The nightlight itself is made of rubber and has more than a passing resemblance to a large piece of wobbly cheese! But this little buddy will ensure that your night time dashes do not include a stubbed toe or even worse! Here is a lovely gadget aimed at the romantics out there, surely there are a few left? Long distance relationships get a real bedtime boost thanks to the Pillow Talk Pillows. They are connected via a wireless setup and have some real cool tricks in store. When one half of the couple rests their weary head on the pillow, the other pillow glows a warm soothing red shade. And when both couples are prone, they can hear each other’s heartbeat and will start to feel connected again. This may not be the answer to everyone’s sleepless nights, but thousands of separated couples will surely give this the thumbs up! A groovy little alarm device that will also help you to lower that dreaded cholesterol level. The clock is shaped like a dumbbell and has a nice trick up its plastic sleeve. Once your alarm starts to wake you up, you need to get busy and do 30 reps with the entire unit. It may not get you ready for next Olympics but it will surely make you ready for a hard day’s work. We love this little gadget and many of you will feel the same! Our last gadget is aimed towards giving you a proper night’s sleep and for that we are thankful! 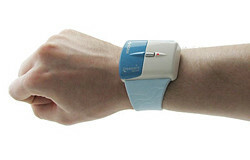 The Dreamate Sleep Aid is worn on your wrist like a watch and it produces a tiny electrical impulse that connects to 3 acupuncture points on your wrist. This helps to improve your blood circulation in a way that assists some much needed sleep. It also promotes the release of melatonin and relieves any stress you may be experiencing. Overall it is great value and we think this will be very popular indeed! There is no doubt that each of these wonderful gadgets have something special about them, the only choice you have to make is which one, or maybe all of them? Today’s guest author, Abbey Brooks, is a freelance writer. Her writing niche is healthcare and she enjoys writing tips to maintain good health in her articles. In her opinion, CPAPonly offers an effective and cheap range of sleep & CPAP supplies that could help you with your problem of sleep. There has always been the latest, greatest invention that makes cooking even easier. However, the 21st century has probably seen some of the most amazing and cool kitchen gadgets ever invented. What follows are two great gadgets that you simply can’t be without for your next summer BBQ. We all love a BBQ and there is no greater feeling on a warm summer’s evening than gathering a group of friends together and enjoying a few drinks and some great food. Barbeque parties typically require a bit of music to get the party started, but have you ever considered the possibility of cooking and entertaining your friends with the same piece of equipment? This is exactly what the MP3 BBQ Grill is intended for and at a price of US$199.99 it’s certainly a fantastic deal. So, while you are cooking a round of steaks, chicken, burgers and jacket potatoes on the grill, your barbeque will also keep your guests entertained by blasting out your favourite tunes. 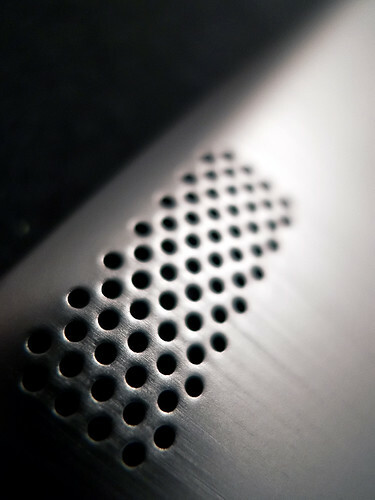 The MP3 BBQ Grill is perfect for both outdoor and indoor use. It has a cooking area of 200 square inches, which is perfect for fitting on enough food to feed all your guests. The surface encompasses a non-stick coating which ensures that cleaning time is quick and easy, and not forgetting the grease tray which will drain away any excess fat. The barbeque has a 10-watt speaker, an integrated AM/FM radio, and you can even plug in a number of MP3 devices. The BBQ will also work with an iPod or iPhone. 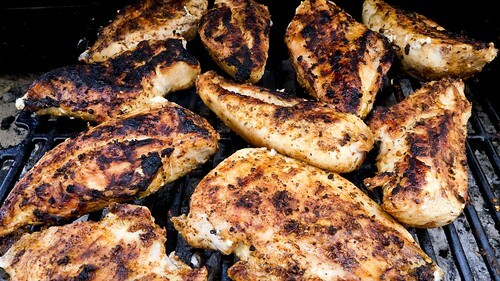 There’s nothing worse than pulling raw meat or other foods off the barbeque and serving these to your friends and family. With experience you may learn the correct cooking times for certain foods, but it’s always good to err on the side of caution. This is where the Bluetooth BBQ Thermometer will ensure that you produce the perfect food for your barbeque, and your guests will no doubt be impressed by your cooking skills. The Bluetooth BBQ Thermometer is available from US$79.99 and gives you the opportunity to spend less time on the grill and more time with your guests. The thermometer works in conjunction with a related smartphone app for both iPhones and Android and even encompasses a duel temperature probe. 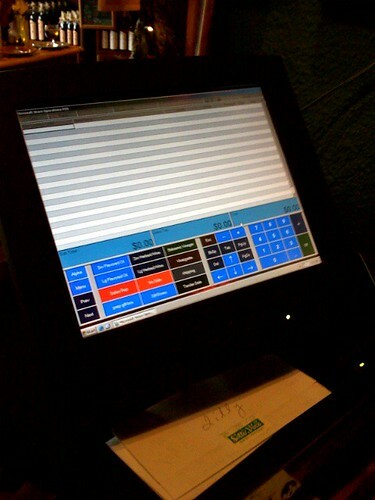 This means that you can correctly monitor the temperature and cooking times of several different items at the same time. You will be alerted as to when certain foods are ready, and this is achieved by first inputting the desired temperature of a particular food. Barbeques are typically a lot of fun and a great way to gather together family and friends. However, all too often someone is stuck with the task of cooking and has less time to socialise with others. With that being said, these two great gadgets can free up your time to spend with others and will ensure that you produce great looking and tasting food. The world off ‘apps’ have revolutionised the way we interact with people, places, technology and generally how we approach things as a whole. DIY around the house is something man has struggled with through time, it’s a fact. We’ve all been there; wandering round a BNQ store staring somewhat bemusedly down at piece of scrap paper containing a few different numbers, calculations and measurements. Using phone apps, the sometimes laborious task of doing DIY can become easier – allowing the stress levels to go down and productivity and freedom to excel. This article is a breakdown of the eight best DIY apps out there. Trying to create the perfect garden in your backyard in attempt to win the town’s annual ‘yard of the year’ award? Well, this app is perfect for you. Create your virtual garden with a whole range of different flowers to pick from – so when the big day comes to choosing what plants you want, you’re two steps ahead of the game. Rating 7/10. Turn your phone into an accurate digital measuring device. Measure your TV, wall, cabinets, windows…the whole room is your measuring oyster! This app is ideal for DIY enthusiasts or people that can’t get enough of measuring stuff for fun. A solid app that does what it says on the tin. 8/10. Trying to find the right colour that will match the general serene environment of your house? With magic colour picker you can go through different models of colour including RGB, HSV, HSL and YUV in effort to find the perfect t colour. However, the only downside is that the colour preview is tiny unless working on an iPad or other tablet. But overall,; not a bad little app at all. 7.5/10. Get lost in a made daze by going round your house trying to make sure everything is dead horizontal; from the toaster to the picture frame on the mantelpiece. As you can see in the picture, the iHandy level acts as a digital spirit level. Simple, but effective. 7/10. How to videos from Howcast.com supply a plethora of different clips demonstrating…well…’how to’! On this app you get a range of videos from ‘How to make an origami fish’ to ‘How to wire a plug’ (the latter being more useful for DIY. There is a lot of tat on this app, but there are some DIY gems also. 5/10. This app was named one of the top 100 new home products for 2011 in This Old House magazine. If that doesn’t mean a lot to you….good!…because you shouldn’t be spending your time reading old house magazine – but spending your time doing the DIY work! Getting the equal spacing between staircase balusters just right can sometimes be a tiring job. With BalusterPro you simply mash in all the figures and… viola! The calculations are all done, supplying you with the important figures you need in order to proceed successfully. 10/10. Tap4Renovations supplies the telephone numbers of contractors in the local area, categorised into Contractors, Electrical, Fencing, Flooring, Heating & Air, Landscaping, Painting, Plumbing, Remodeling, Roofing, Security, and Windows. However, you know you’ve failed when you’ve had to get a pro in! 5/10. In conclusion, as you can see here – there is plenty of DIY apps to keep those idle hands working. Men & women everywhere will break things in their house on purpose – just so they have an excuse to start afresh and make something new. A big thank you to Distinctive Doors for this list of great DIY apps, it all comes in handy so get an app on your mobile today! Every season there is an influx of gadgets onto the market, some great and some not so great. From sat-navs with built in televisions to sunglasses which can take pictures, there is something for everyone. This is a fabulously nifty gadget which is not only a top of the range sat-nav but also doubles up as a little television for those breaks between journeys. As you would expect, it features a freeview tuner and also allows you to upload your own films and music so you have your very own multimedia device on the go. The screen is 7 inches so offers more than the teeny MP3 players and, along with the navigation system, is all that you need for a car journey. After the launch of the hugely popular iPad back in 2010, many companies produced their own versions with various degrees of success. However, what no tablet seems to have achieved so far is the gaming experience you can have with a PC or gaming console – until now. The Razer has been built especially with the gamer in mind and is actually a triumphant effort with a 10.1 inch touch display and seamless graphics. These are quite something else among the usual offerings of tablets, gaming systems and MP3 players. From innovative brand Pivothead these glasses are no ordinary glasses, in fact they can shoot film in 1080p and take pictures using an 8MP camera all while you are wearing them on your head. Solar power is flavour of the month at the moment and it seems everyone is trying to incorporate it into their products. This stereo system is very light, portable and produces a pretty decent sound. All this, along with the USB port for your phone and MP3 output makes it a great little machine. This handy little device not only tracks calories burned and heart rate etc, it also includes a GPS tracker and MP3 player meaning you don’t have to go out on your jog laden down with various gadgets – it could make you slower afterall…. The screen is 1.6 inches and crystal clear allowing you to glance at it while in the middle of a run with no problems reading it. It also lasts a pretty impressive nine hours on a single charge. This is a godsend to anyone who reads non-stop while on holiday and doesn’t’ always get the chance to charge their Kindle. The SolarFocus consists of a sturdy Kindle cover which is fitted with a solar panel at the back of it. Using a micro USB it can then charge your reading device as well as the little reading light which comes with it and all for £50. Perfect. Another solar charging deck, this is definitely worth a mention. The ASolar dock uses the sun to charge your iPhone meaning you can camp at the muddy music festival without worrying about how you can keep your phone alive. It’s not cheap but if you are a smartphone geek, this may well be money well spent. First we put our music player, laptop, camera and phone into one amazing gadget, now we are putting our must have devices into a teeny tiny wrist watch (well not ALL of them but still..). 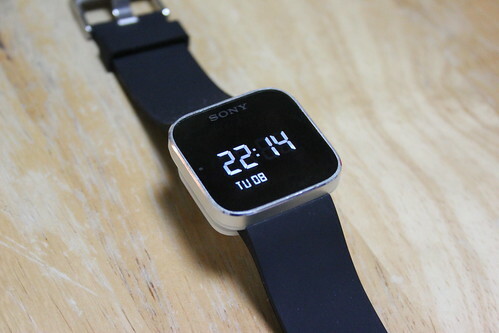 Unlike most watches which try and be something else, this one actually works rather well and looks pretty smart of your wrist allowing you to read texts, e-mails, check facebook and listen to music. This camera is something to buy just to impress your friends as a party trick if nothing else. It has a 10mpg camera with a built in printer meaning it can do what Polaroid do best and print off pictures for you instantly. A fun and pretty good quality product but it may prove to be nothing but a gimmick when it hits the market later this summer.